The suburban community of Lake Township is located in the northern portion of Stark County and is bounded by both Summit and Portage Counties. 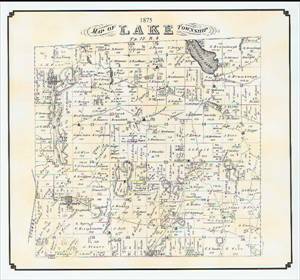 Lake Township became its own stand alone township in 1816 after its original formation as part of Plain Township and later Green Township. The first business areas to be established in Lake Township were Greentown and Uniontown. Later, Hartville, Cairo and Aultman were established. Due to the introduction of railroads, Uniontown, Hartville and Greentown each became centers of commerce and industry, each having their own post office, general store and blacksmith shop. The first brick road, between Greentown and Uniontown, was constructed just before World War I. That road, which was originally a State Route and is now maintained by the county, is known as Cleveland Avenue. Lake Township is situated approximately ten (10) miles south of Akron, ten (10) miles north of Canton and forty-three (43) miles south of Cleveland and its location is within close proximity to the Akron/Canton Regional Airport and the Interstate 77 corridor. Lake Township is the 31st largest of Ohio’s 1,300 townships and is the fourth largest township in Stark County behind Plain, Jackson and Perry townships. Lake Township contracts with three privately owned fire companies for their Fire/EMS services. Lake has three school districts with the first schools being established in the early 1800’s. Lake Township is home to Quail Hollow State Park which came under the administration and management of the Ohio Department of Natural Resources, Division of Parks and Recreation in 1975. Other neighboring communities bordering Lake Township include the City of Green which is located on Lake Township’s western border, Plain Township and the City of North Canton which lie at Lake’s southern border, Springfield Township on the northern border, and Marlboro Township on the eastern border. Within the borders of Lake Township is the incorporated Village of Hartville which was established in the mid 1800’s. The Village has its own government consisting of a Mayor and Village Council who supervise the workings within the Village of 2,174 residents. 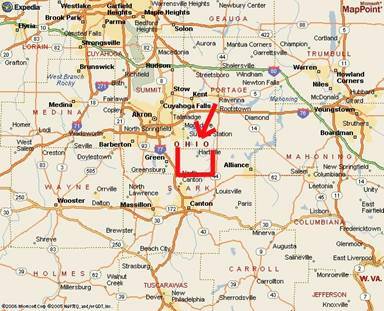 Also within the borders of Lake Township are the unincorporated areas known as Uniontown, Greentown, Mt. Pleasant, Cairo and Aultman. Lake’s history, including former U.S. Presidents campaigning in this area, Thomas Edison working on his gramophone at his in-law’s home in Greentown, the township being a stop along the Underground Railroad and its agriculture and industry, along with many other factors have helped Lake Township grow into what it is today. 1. Richard E. Werstler, Ed.D., “History of Lake Township A LEGACY UPON WHICH TO BUILD,” Lake Township Comprehensive Plan & Land Use Report Blueprint for Success, 2000.